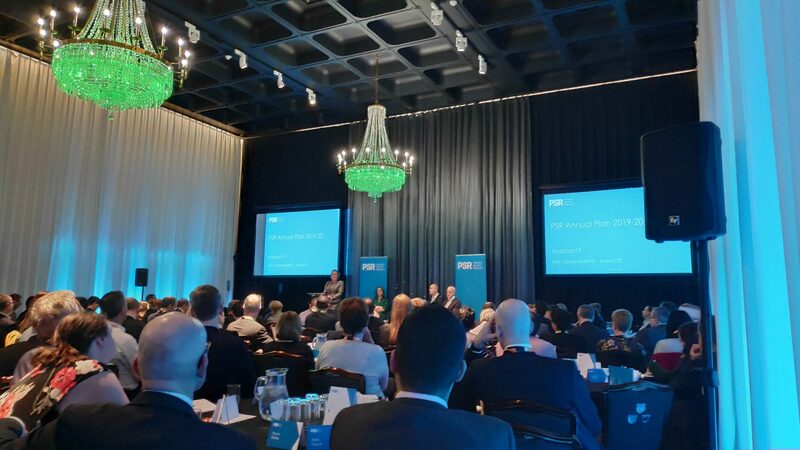 The Payments System Regulator (PSR) has held an event today (27 March) in London, laying out its annual plan for 2019/20, which focuses on the open banking and collaborative initiatives, anti-fraud measures and the New Payment Architecture (NPA) by Pay.UK. The UK payments regulator has highlighted its commitment to focusing on initiatives to help consumers. In the opening remarks, PSR chair Charles Randall commented on the need to change regulations to keep up with the rapid pace of technological change. Hannah Nixon, who is stepping down as an MD, talked about the importance of payments underpinning the UK industry, totalling around £90 trillion of payments just last year. “The payments landscape has clearly changed towards the users’ needs in comparison to when I started at PSR in 2014”. Lastly, the regulator also highlights the ongoing work with HM Treasury, the Bank of England and the Financial Conduct Authority to prepare for EU withdrawal. Among the proposed initiatives for this year, the PSR is expanding its commitment to the protection of customers from fraudulent practices, with the implementation of payee confirmation. This includes reaffirming the commitment to reimbursing payments to customers who are victims of such schemes from banks. However, Chris Hemley, head of policy, remarked that the regulator was working on a long-term solution – it is questionable how much money banks can reimburse following fraud. When we asked about measures to discourage fraud, Louise Buckley, COO, explained that the undergoing consultation will see how the measures undertaken so far have impacted criminals, and how initiatives like payee confirmation would affect customers. To ensure the access to and viability of cash, particularly in the light of recent criticism regarding whether regulators were doing enough to counteract the increasing trend of branch closures. Buckley explained behind closed doors how the PSR is ensuring that there is a network of ATMs in areas with limited access to them, that are protected no matter how financially viable or how used they are. “We won’t leave anybody behind,” says Hemley. PSR is undergoing a market review in acquiring services, particularly from the perspective of merchants. This year, the regulator will release an interim report on the types of issues merchants face when buying acquiring services to cater for debit, credit, charge and pre-paid cards. The full report is expected in 2020. Lastly, the regulator aims to oversee the delivery of the NPA developed by Pay.UK to produce good outcomes for payment systems users. It will continue to make sure access to payment systems is fair and transparent, enabling participants to provide new and innovative products and services. From April 2019, both Hemley and Buckley will be managing directors at PSR.